Let's Stamp! 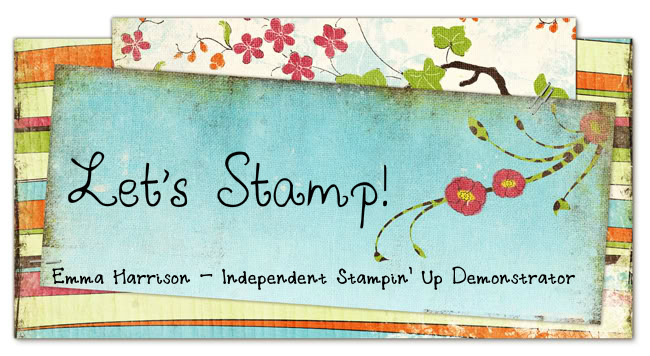 : Become a Stampin' Up Demonstrator! Have you ever wanted to become a SU! demonstrator? Well now is the perfect opportunity. In conjunction with the Hobbycrafts show, Stampin' Up! are offering a special 10% discount on the Starter Kit price. This means that you can get your hands on over £240 worth of business supplies and Su! goodies for just £125 instead of the normal £139! That in itself is a great saving, but should you want to take it further then you can start your own SU! business going into people's homes and demonstrating the great products at workshops. If you'd like to find out more then please give me a call, or drop me an email. But remember this offer is only on for a limited period and orders have to be placed before 7th May.